I have been diagnosed with OCD for 5 years now and realise that a lot of habits and quirks I have thought of as ‘just the normal way to do things’ can be construed, if required, by others as characteristic of this particular condition. However, the following habits I exhibit, to my mind may be shared by many bibliophiles out there, or I really am freaky, which suits me just fine. Please note everyone with OCD is different and this is NOT a diagnostic tool. 1. I cannot start another book until I have finished one and books I have read must be catalogued on Goodreads with the correct date of starting and finishing. 2. Physical books I am reading have to be kept pristine, no folds, creases or imperfections should be visible, preferably before, but definitely none in addition, during or after I have finished reading it. 3. Physical books I have not read must be kept out of contact and in a different pile to one’s I have read. The book I am currently reading cannot be kept in either the read or unread pile. 4. I need silence to read; no tv, music, chatting or radio in the background. 5. As quickly as I may read, I do not skim, I read closely. 6. I must know whilst I am reading on my Kindle ereader, just how much time it will take me to finish the book so I can plan my day accordingly. 7. Books (and ereaders/tablets) must not touch my feet or shoes. 8. I must highlight errors. 9. I must removed finished books from my ereader device immediately. 10. I must always have a book on the go. There are more but for the sake of brevity, I have once again stuck to my top 10. If you have any reading quirks please share, of course, only if you want to. Thanks for sharing. I also always need a book on the go. When i am about halfway through a book i need to have another book picked out to read. I cant stand the feeling of being done a book and not knowing what i am going to read next!! I must read books in the order I got them, so check my manage your content and devices page on Amazon to determine which book is next. I don’t know if this is a quirk, but I cannot give up on a book no matter how much I dislike it. There have been books that have made me think “Why are you still reading this?” from beginning to end, yet I just couldn’t bring myself to stop reading. I’m pretty sure it has to do with the fact that if I don’t finish something, I feel like a failure. Ugh! I had difficulty with not finishing books but made an effort to stop reading any I didn’t enjoy last year, life is too short and there are too many books that you would like to be miserable with one you don’t enjoy. I am #s 2, 5, and 10 and I have a TBR list (complete with author and title of series and stuff) on my laptop and another one handwritten on my notebook, and a books-read jar with date and rating. 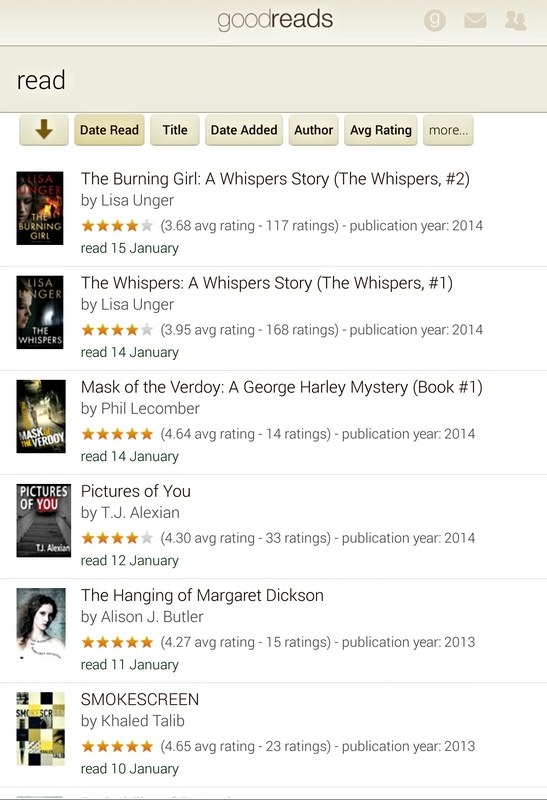 I manage to avoid keeping written records because 98% of my books are on ereader. I try to keep my books in good shape. The first thing my sister does when she gets a new paperback, though, is break the spine so that it will open and lay flat more easily. I know it makes sense to break the spine to make reading more comfortable but it would seriously bug me.